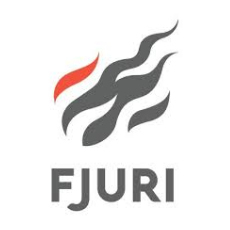 Fjuri Group is a Seattle-based consultancy launched to help Fortune 500 companies to build compelling and innovative content and Omni-channel customer engagement. Today, marketing leaders are faced with transforming their team, adding new skills, new technology, and new process while simultaneously delivering even more measurable return on marketing investment. Our focus is to work shoulder to shoulder with teams to help implement organizational change that allows them to adopt many required new behaviors quickly and completely and drive lasting change. Fjuri Group is a data-driven consultancy launched to help leading companies build compelling and innovative content and Omni-channel customer engagement. Today, marketing leaders are faced with transforming their team, adding new skills, new technology, and new process while simultaneously delivering even more measurable return on marketing investment. Our focus is to work shoulder to shoulder with teams to help implement organizational change that allows them to adopt many required new behaviors quickly and completely and drive lasting change.